Catchy, right? Okay, silly title aside, we really do take our security measures seriously. If you’d like to come visit us in our branch (which we're so cool, who wouldn't want to come hangout with us? ), then we have privacy booths with one-on-one attention, so you can rest assured that your secure information isn't falling into the wrong hands. If you choose to apply for a line of credit online, our application is encrypted and secure to safeguard your personal information. Not quite ready to make the commitment? No worries – we like that about you. Stop by as many times as you’d like, browse our website, call in with questions, or – better yet – do all 3 without any commitment! All that’s missing now is a little bit more about you, so let's get started! GO Transit is Scarborough's fast and convenient public transit system. A stop is right outside your LendDirect. And don't forget, we are right next to Shoppers Drug Mart! Need to run some errands or knock out a quick bit of grocery shopping while you're in the area? We've got you covered! We are situated right next to Shoppers Drug Mart and Fancois' No Frills. 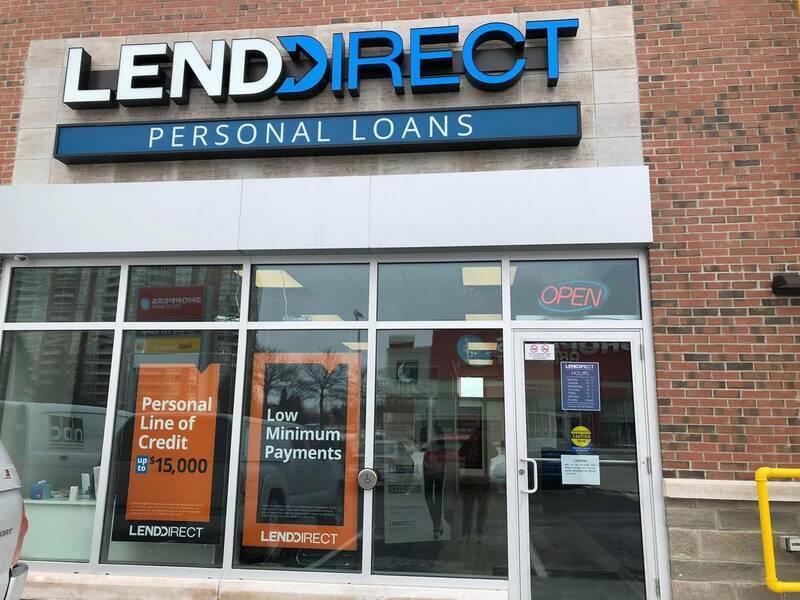 Just want to reflect and take a walk to consider all the benefits that a LendDirect line of credit has to offer you? Check out some of the trails at McLevin Woods Park right across the street! Your options in the area are endless – much like if you're approved for a personal line of credit! To visit with one of our Financial Service Representatives, stop into our Scarborough branch located at Neilson Road and McLevin Ave. We are located at the Southwest Corner of Neilson Road and McLevin Ave, right next to Shoppers Drug Mart!